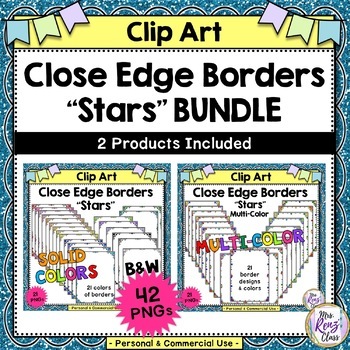 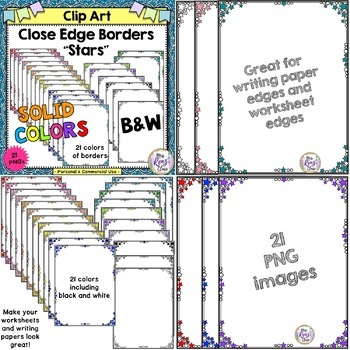 Make your worksheets and writing papers look great with this BUNDLED set of 42 PNG solid color and multi-color plus blackline star borders that are close to the edge. 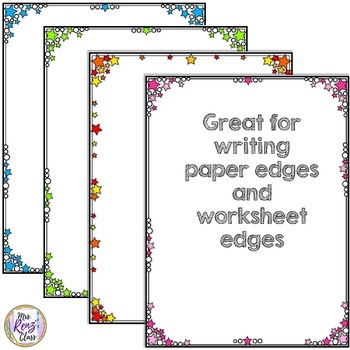 Just lay these behind the text in your documents for great looking page edges. 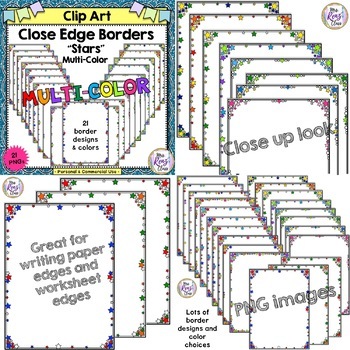 The high quality PNG images are designed to fit closely to an 8.5 x 11 inch sheet of paper.